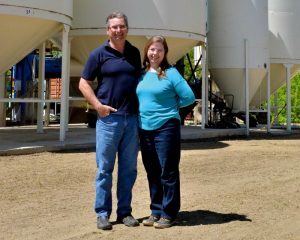 Dan and Fran DeRuyck’s organic grain-cleaning plant is one of the first things a visitor sees when they arrive at Top of the Hill Farm, south of Treherne, Man. The large shed dominates the west side of the yard, bordered by bins which, on any given week, might be filled with anything from wheat, oats, buckwheat, quinoa, mustard or spelt. Inside, a maze of pipes and blowers conveys grain through a line of cleaning equipment. The grain is filtered by size, density and, using a specialized electronic eye, colour. Buckwheat is dehulled with a stone grinder, as are oats. Undesirable seeds are whisked away to another, smaller bin outside, while the cleaned grain is bagged for milling or, increasingly, returned to the customer after a custom cleaning job. A few miles away, at Top of the Hill Farm’s milling facility, Fran DeRuyck pours buckets of grain into the computerized milling machine. The resulting flour is then packaged and shipped to bakeries, health food stores and dozens of other customers across southern Manitoba and from coast to coast. It’s a far cry from 17 years ago, when Dan DeRuyck’s father, Gerry, began marketing organics to a few local bakeries. 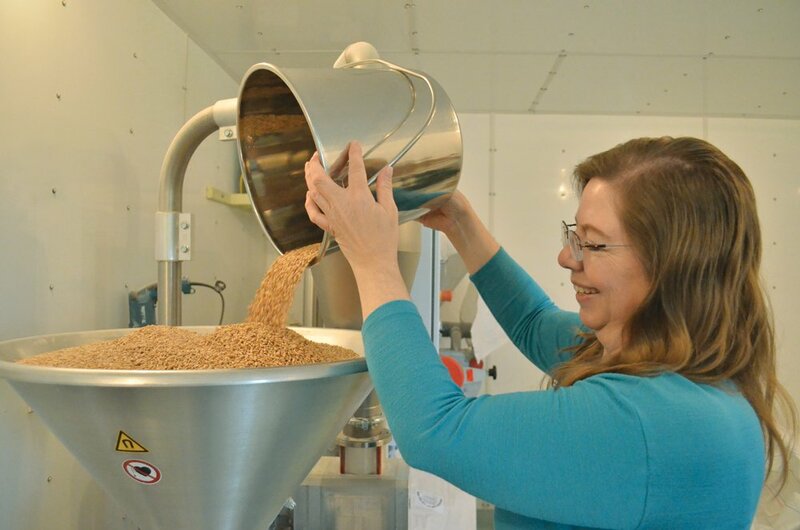 The DeRuycks have been milling their own grains and marketing their own organic flour for years, but now their business once again looks set to expand. 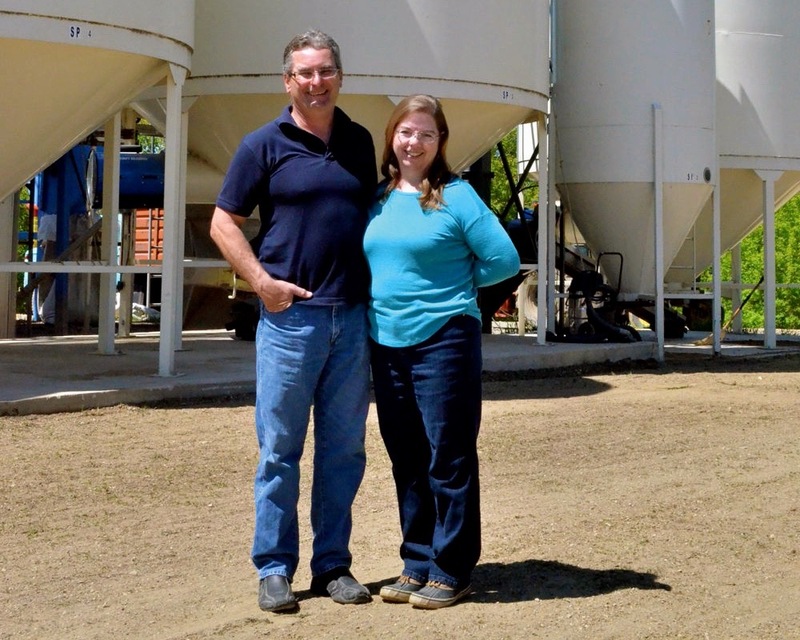 Custom milling is on offer, but the DeRuycks say they would like to take on more, while their cleaning plant, reopened in February after almost 10 months of upgrades, opens the door for large-scale organic grain cleaning. The couple has held out setting prices for their expanded services while they familiarize themselves with the plant’s capacity and operation. Kate Storey, president of the Manitoba Organic Alliance, has said more organic seed cleaners are needed to fill a gap in the market. The organization draws members from organic farmers, retailers, buyers, researchers and processors across the province. Larry Black, Manitoba Organic Alliance grain and oilseed director, said most buyers have their own cleaning plants, but he has seen an increased preference for clean grain due to freight considerations. “I’m noticing in the last couple of years that the buyers are looking now for your grain on farm to be less than five per cent dockage and that didn’t used to be an issue,” he said. He noted that producers located close to Top of the Hill Farm are more likely to derive benefit from the plant. In 2000, Gerry DeRuyck planted his first organic crop, a patch of only 20 acres. “We were just finding that our input costs were rising and we were finding that the margins were getting thinner and with sprays, we were finding we were getting resistance to different sprays and things like that, so it just wasn’t pencilling out like we thought it would,” Dan DeRuyck said. The elder DeRuyck was soon supplying local bakeries with organic wheat and flax, eventually becoming a supplier to Tall Grass Prairie Bread Company in Winnipeg, a deal Dan DeRuyck now credits for their expanded product line. Within a few years, his son and daughter-in-law began to transition their own land to organic production. For two years, Dan and Fran DeRuyck planted land down to alfalfa to help the transition, surviving off the income of their cattle herd. According to the organic production systems National Standard of Canada, prohibited inputs cannot be used on land for 36 months before a certified organic crop may be harvested off it. By 2006, Top of the Hill Farm was a certified organic operation and the growth began in earnest. Over the following years, the family felt its way through the ins and outs of organic farming. They adopted a green manure crop once every three-year rotation to build nutrients and looked for alternatives to manage weeds. “That’s part of what we’re doing with the processing plant too; we can take those weeds out and eliminate them that way, do it mechanically instead of through the sprays,” Fran DeRuyck said. Driven by demand, the family began adding crops to their product line. Today, it includes wheat, flax, rye, oat and buckwheat flour. Organic producers and businesses eventually began to approach them about custom work, although the process remained largely manual and small scale. Eventually, orders became too large to handle easily and the DeRuycks began to plan seriously for expansion. The family assembled the plant piece by piece over the next nine years, picking up equipment at auction sales and later receiving support from Growing Forward 2 for the project. In April 2016, the existing cleaning facility at Top of the Hill Farms shut down for the upgrades, reopening earlier this year. By the end of 2016, the DeRuyck farm had shrunk from about 1,500 acres in 2000 to 700, mostly farmed by Gerry DeRuyck. His son, meanwhile, has largely taken over cleaning and Fran DeRuyck has taken the lead in milling. The family now contracts farmers to grow part of their grain and Top of the Hill Farm products are delivered through Manitoba three times a month. The farm has also joined the Harvest Moon Local Food Initiative, a sustainability-focused farmer direct-marketing group spread throughout southern Manitoba. Most customers are businesses and bakeries, Fran DeRuyck said, although the mill also provides for a niche of people newly enthused about homemade food and local sourcing. “It’s strictly single product, just single ingredient, because once you start mixing things it starts to get a little more complicated in getting the different nutrient values and things like that. At this point, we just keep it simple,” she said. The DeRuycks eventually hope to power their processing plant with the same weed seeds they filter out of crops. A planned refinery on farm property would press seeds for oil to be used in the plant’s generator. The facility is off grid and the couple has begun exploring alternative fuels, including used vegetable oil from the food-service industry. Both Fran and Dan DeRuyck admitted, however, that those plans will have to wait in light of the recent upgrades.